This report was written by Hatchet reporter Danielle Solinski. Women without health insurance were offered free mammograms from GW’s Mammovan outside of the Medical Faculty Associates Friday, in honor of National Mammogram Day. 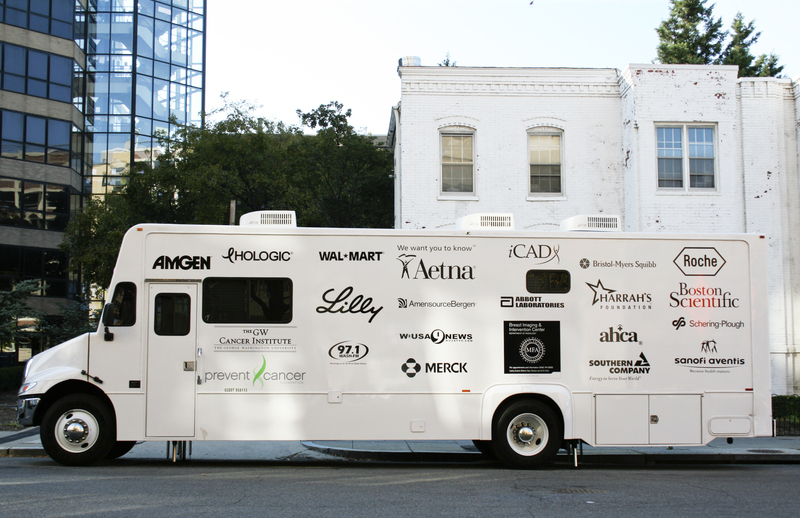 The Mammovan – which celebrated its 13th year of existence this year – offered uninsured women over the age of 40 the chance to get screened for breast cancer, which has become a leading killer of women in the U.S. The mobile mammography program began its service in 1996 with the help of a grant from the Prevent Cancer Foundation. The program’s goal is to make early detection of breast cancer, as well as education and support, available to all women throughout the metropolitan Washington area. On a typical week, the van travels throughout corporate and community sites in D.C. providing mammograms to any woman who makes a reservation in advance, regardless of income level. The van will schedule up to 25 appointments per day. “A lot of times women… because they work and they are caregivers for their families, a lot of times they don’t have time to go and get their own mammograms,” Beverly Herrera, the senior mammographer, said. Herrera said that the mobile site could help to alleviate the possibility of the “silent killer,” a phrase that some refer to for breast cancer because of the difficulty in detecting symptoms. “We find that by going to them, to their places of employment in the case of corporate women and going to places where it is closer and more readily available, that women are more apt to keep their appointments,” Herrera said. Marino said the Mammovan has seen a recent uptick of at least 15 percent in uninsured patients requesting appointments due to the current financial situation.